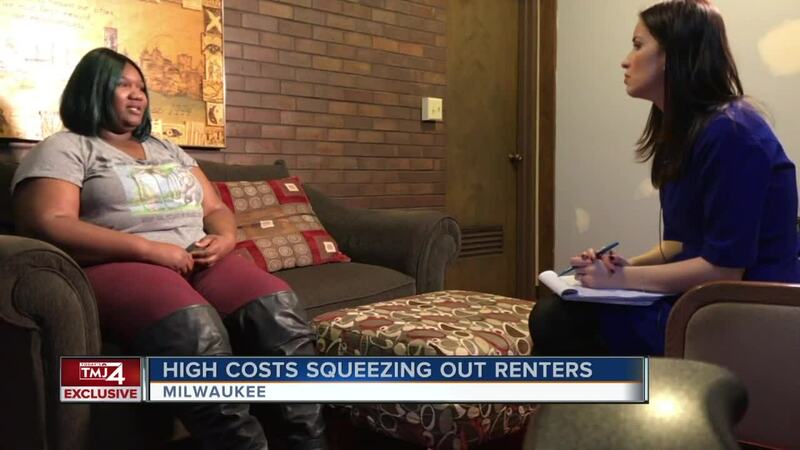 It is getting harder to afford living in Milwaukee. The city made the top ten in the U.S. for the sharpest increase in rent prices. MILWAUKEE - It is getting harder to afford living in Milwaukee. 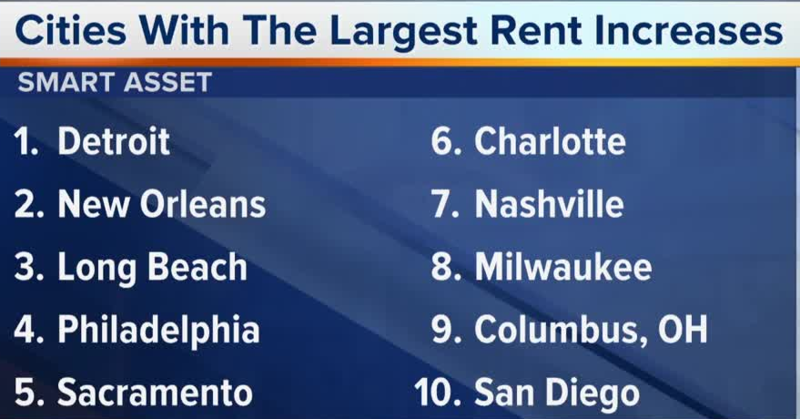 The city made the top ten in the U.S. for the sharpest increase in rent prices. Financial website SmartAsset crunched U.S. Census Data and found the median rent in Milwaukee shot up nearly $200, to more than $1,200 a month over the last five years. For the whole of Milwaukee, the average cost of rent is 38-percent of the median household income. We looked at how this has affected one of our most vulnerable populations. Jameelah A. Love describes how she felt the rug was ripped from under her when she left foster care at 18. "I was couch hopping, so that's basically homelessness," said Love. The cost of a one-bedroom apartment was too much for her, "$600, that's a check and a half!" Karie Lowe helps people find affordable housing through a non-profit called Lad Lake. "...and its a new struggle that were not used to," said Lowe. Right now, she is helping 40 people transition from foster care to adulthood. Half of them have children. "The last two years rent has increased drastically we're up to $600 to $700 for a one-bedroom apartment," said Lowe. At 27, Jameelah is now out of the Lad Lake program and mentors foster children entering the real world. The non-profit's goal is for everyone to save money as they get help.